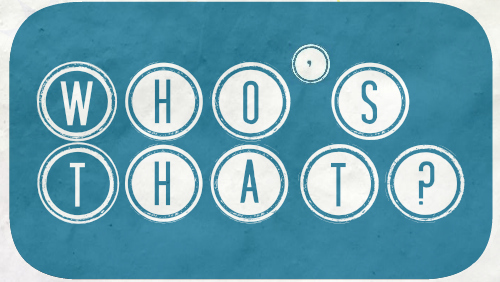 Welcome to June’s edition of the ‘Who’s That?’ quiz! As always you need to be identifying the silhouette on the far left of my header above, and once you have done so, all you have to do is head here to the ‘Who’s That?’ page and make your guess! At the end of the month I’ll announce both the answer and those of you who manage to guess correctly, and I’ll be linking back to your website/twitter/Facebook etc. Remember, please don’t guess in the comment section as it spoils the fun for everybody. Head here to make your guess by filling out the form. Tags: Characters, film, May, Movie, People, Quiz, Silhouette, Who's That? Nice one man, I figured that you’d get this one! I just guessed. Looking forward to the results. Haha, well you never know – it may come to you over the next few weeks! Ha, I’m pretty sure I got it now. Victory evades me no more! Fernando is either cheating or is crazily good at this. I’m making it my aim to catch him out soon though! LOL, jealous much, Tyson? I’m obviously not cheating! I don’t think there’s a way to cheat at this game.